A very decorative and large French Gueridon or centre table. 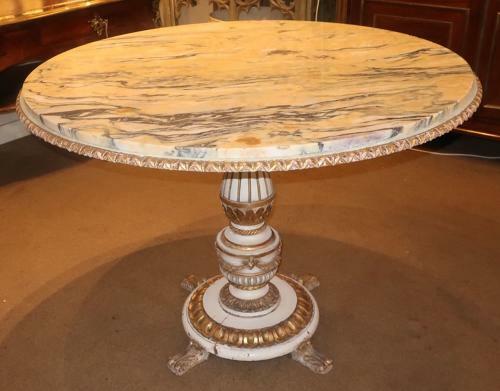 In original old paint and gilt finish, with an unusual and striking marble top all sitting on a centre column table with a platform base. Would look wonderful in an entrance hall or conservatory.